Interior || One zip pocket, multiple card & pen holders, phone pocket. 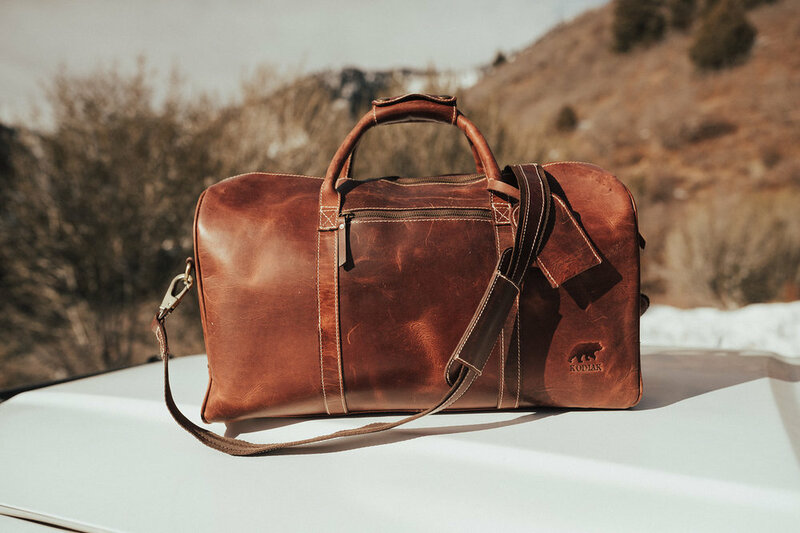 Our 30L BL Duffel is the ultimate day-tripper/compact weekender - a statement piece for jet setters and cabin-dwellers alike. ★★★★★ “I got this for my dad for Christmas because he commutes pretty far to work and often spends the night near his office. He's notoriously difficult to buy gifts for, but he LOVES this bag. It has a very nice, professional look to it, and arrived in great condition and on time. Thanks!” - Rebecca T.
★★★★★ “Gorgeous bag, very well made. Would buy another!” - Ellisha W.
★★★★★ “I love this bag- can't wait to purchase the larger version! Gorgeous leather and fast shipping.” - Steve A.